Table Tennis is a sport in which two or four players hit a lightweight, hollow ball back and forth with rackets. The game takes place on a hard table divided by a net. Except for the initial serve, players must allow a ball played toward them only one bounce on their side of the table and must return it so that it bounces on the opposite side. Points are scored when a player fails to return the ball within the rules. Play is fast and demands quick reactions. A skilled player can impart several varieties of spin to the ball, altering its trajectory and limiting an opponents options to great advantage. 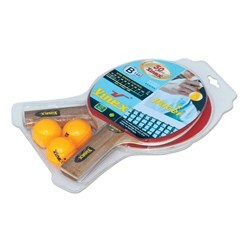 The game is controlled by the International Table Tennis Federation (ITTF). We are manufacturing and supplying an extensive range of premium quality indoor and outdoor Table Tennis Tables. Whether you just want to play Ping Pong with the family or you are a serious table tennis player, we will have the table to suit your need. Quality is our trademark. We want your recommendation and repeat business. 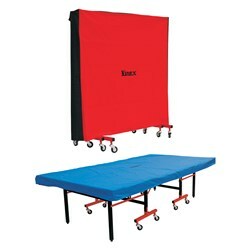 We are offering a wide range of Table Tennis Table & Accessories like TT Tables, TT Bats, TT Balls, TT Nets, TT Net Stands, TT Court Barrier / Surrounds and TT Covers at the best possible prices. 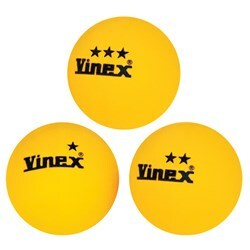 Vinex Table Tennis Tables and Accessories are designed as per the need of various National / International Sports Clubs, Schools, Colleges, Universities, Organizations and Individual requirements. 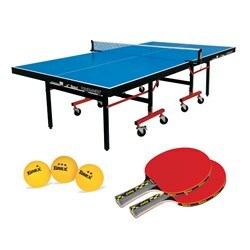 Our mostly TT Table models are of standard size and approved / specified by TTFI (Table Tennis Federation of India). 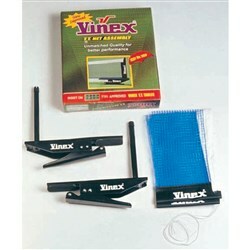 VINEX TT Tables are perfectly alright by quality and design for tournaments and competitions.